Our telemarketing company puts an emphasis on developing accurate and fair pricing for inbound and outbound services. Prior to beginning a telemarketing campaign, we will test call your market for FREE in order to develop an accurate pricing. At The Pisa Group, we specialize in offering call center services and customer service support to business's across the country. As a leading sales and customer service company, we have unique knowledge and experience that allows us to help our clients reach their subscription, retention and service goals. Our call center company is unique because we also offer customer service support in addition to our telemarketing services. This includes both inbound and outbound customer service support from our call centers. With our complete services, our telemarketing company can help any business to interact with existing, new, and potential customers throughout any stage in the customer lifecycle. To learn more about our services and to find out how our call center company can help you achieve your goals for retention, sales, and customer support, please contact our call service center. Outbound Telemarketing Services: Our telemarketing company specializes in offering outbound telemarketing services for a variety of clients. These services include sales telemarketing, retention telemarketing, marketing database development and management, cold calling, and outbound customer service support. Outsourcing your outbound telemarketing services to a call center company specializing in subscription sales and retention allows you to take advantage of our knowledge and experience in the industry while reaching your marketing and retention goals. Learn more about the advantages of outsourcing telemarketing services. Inbound Call Center Services: Inbound call center services can help improve your relationship with customers, allow you to provide better customer service, and help you to improve customer retention. At The Pisa Group, we have experience working with the needs of your customers. Our representatives are trained on issues specific to any industry. Using the inbound call center support services from our telemarketing company can result in not only a cost savings, but a better customer experience from your customer service. Learn more about the benefits of using inbound call centers. The Pisa Group is proud of our reputation for delivering professionalism, integrity, and performance. 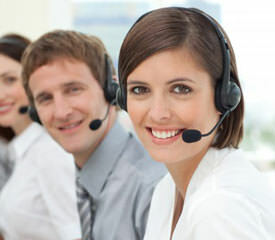 It is our goal as a call center company to offer quality service to each of our customers at a fair price. We will not compromise the quality of our telemarketing programs or customer service programs in order to keep an account. This philosophy sets us apart from many call center companies and allows us to deliver reliable and outstanding results to our customers. With our use of the latest technology and equipment, we can handle any type of campaign in order to help you achieve your goals for obtaining subscriptions, improving customer service, and increasing retention rates. Read more about our track record and what our customers say about our telemarketing and direct marketing services.